LET US FIND THE TRICK TO YOUR FITNESS! 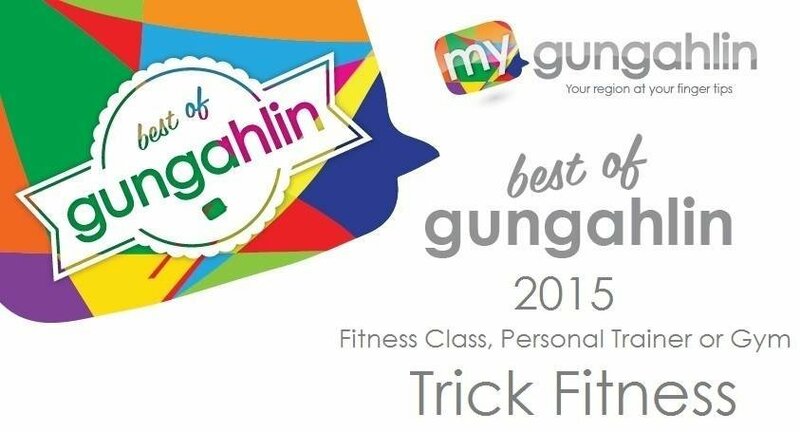 Trick Fitness is not just another ordinary gym. In fact it is a total health and fitness center, which many people regard as the best fitness center in Canberra. To be the best fitness center requires that the fitness center has more than its rivals. More of everything, to be exact. This is why you will find nothing but the very best equipment and staff at your Trick Fitness gym. Trick Fitness classes are led by top quality instructors who are experts in their field. When you sign up for a Trick Fitness class, you can be certain of receiving accurate information and qualified guidance, to help you achieve your fitness goals safely and effectively. Listed below are some of the factors that make Trick Fitness stand out from competitors in the local area. Do you prefer the traditional "clang and bang" of free weights, or do you find it easier to find your correct form with a nautilus approach? How about cardio? Do you know if you're exercising at the right intensity to achieve a training effect? Trick fitness gives you more choice when it comes to equipment because we have more items in more categories, and we invested in buying the very best on the market. Training at Trick Fitness gives you ultimate freedom in developing your perfect workout according to your preferences and style. Your workouts will take on a new dimension with Trick Fitness personal training services. A personal trainer can give you direct support in setting and achieving your fitness goals. Our personal trainers are all fully certified professionals, having completed years of study in the essential topics of sports medicine, physiology, nutrition and anatomy. Trainers may also have completed studies in other disciplines such as physiotherapy, massage therapy, psychology, etc. Choosing a personal trainer is not a task you should undertake lightly. Try to locate an individual you feel a rapport with, and be prepared to bare your soul. Being completely open with your trainer is the best way to ensure you get the very best results from your training. Once the trainer has a clear picture of where you're currently at and where you want to be, he or she can then work with you to develop a fitness program to suit your needs and your lifestyle. Your trainer will then give you all the instruction, guidance, and motivation you need to reach your personal best and then exceed it. As you gain experience, your confidence will grow, and you will see measurable results you can be proud of. You can trust your Trick Fitness personal trainer to always have your best interests at heart, and they will always give you their best effort. Of course, they also expect the same from you, so be prepared to work hard in achieving the goals you have set. Most people find the extra motivation and quality instruction a personal trainer can provide to be a very worthwhile investment. If you've already been hitting the gym for some time but you're not seeing the gains you expect, it could be that help from a personal trainer is just the thing you need to get off that plateau and start climbing again. Thinking about doing pole dancing? Pole dancing has been gaining increasing recognition as a legitimate mainstream fitness activity, finally shaking off the vestiges of its origins in the adult entertainment industry. A pivotal factor in the upswing of the pole dancing revolution is that it puts a new twist on the concept of a full body workout. It is challenging, fun, and intensely rewarding as an activity. Pole dancing has also moved into the world of competitive sport, with competitions held all over the world. Some of these competitions offer the chance to win major prizes and earn career-boosting publicity. The first thing you'll notice about Trick Fitness pole dancing classes is the positive energy that flows throughout the room and among the participants. It is a relaxed, friendly, and supportive environment where you can focus completely on getting the best out of the class and yourself. Classes are led by professional instructors who have also achieved a measure of success in competition. You can be confident of receiving top quality tuition and all the support you need to help you progress through the levels. It doesn't matter if you have no prior experience, because there are classes to suit everyone from complete beginners to advanced level. Everybody has to start somewhere, and there's no better place to start than Trick Fitness. Everyone has questions when it comes to health and fitness, but not everyone feels confident to ask those questions. Staff at Trick Fitness are thoroughly professional, and are always happy to answer any questions you may have. If you ask something that would be better to consult a GP or pharmacist about, they will tell you that too. You may be wondering, for example, if you should take supplements, and if so which ones. Our staff have the answers you are seeking, and they'll always go the extra mile it takes to give you an answer that is genuinely helpful. If you feel uncertain about what you're doing in your workouts, it's always best to seek advice, and there's nothing to be afraid of. Staff at Trick Fitness love helping people and solving problems. 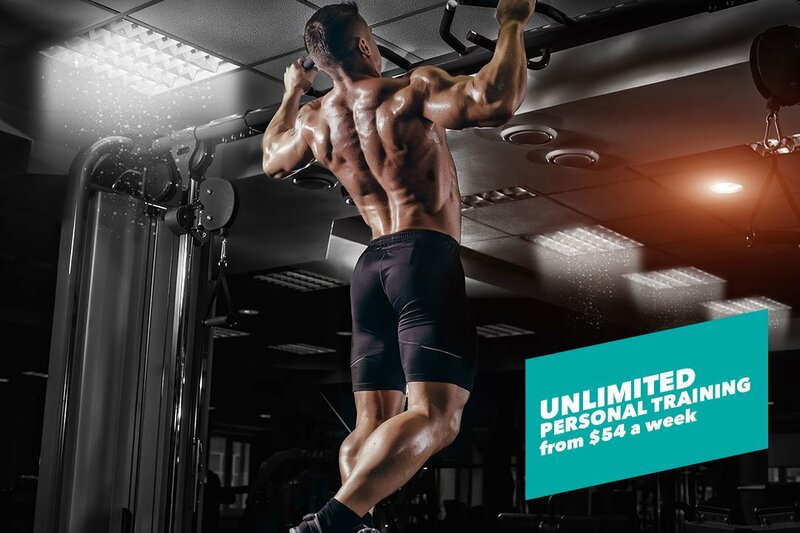 There are plenty of great reasons to join Trick Fitness, but to help you make that decision we're offering every new customer the opportunity to try two free trial sessions. You have absolutely nothing to lose by giving us a try, and we're sure you're going to love your experience with us. For more information, call Trick Fitness on (02) 6288 0055, or use our online contact form to send us a message by email. Of course you can always just drop in to Trick Fitness, because we'll be delighted to see you. Speak to the Canberra Fitness Experts Today! Trick Fitness is the best health & fitness Centre in Canberra. We specialise in pole dancing classes in Canberra, pole dancing classes in Belconnen, Canberra personal training, Gungahlin personal training and Belconnen personal training. Visit our Gungahlin gym, Canberra gym or Belconnen gym today! 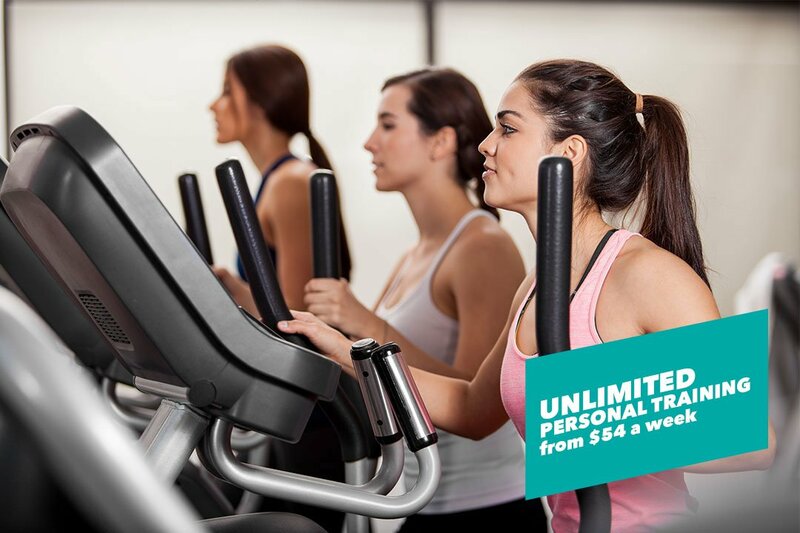 UNLIMITED PT FROM $52 A WEEK! Programs are individually designed to suit the specific needs of the individual. By having a Trick Trainer there to assist and motivate you throughout your workouts results are guaranteed!! 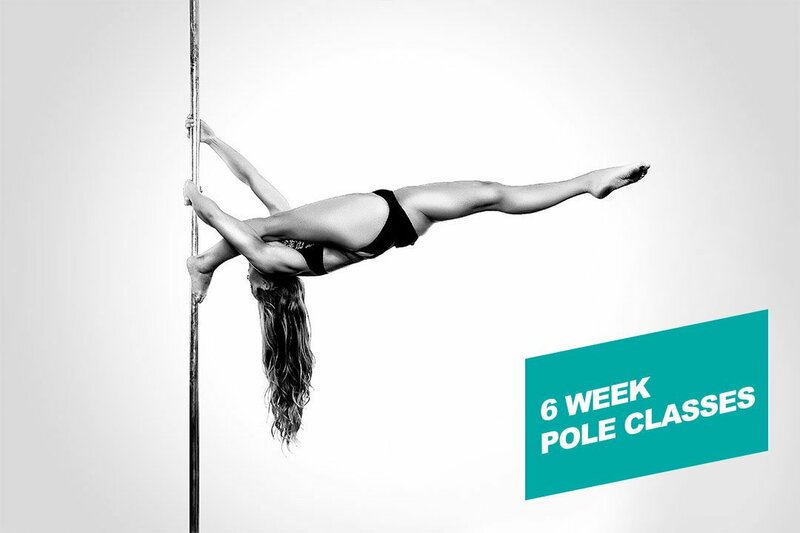 Pole Dancing is recognised as one of the best ways of losing weight within the fitness industry. With an endless list of Pole Tricks to master, there will always be something new to learn. Find out about upcoming events at Trick Fitness.